I have studied and lectured at many tertiary institutions and Business Schools in South Africa but St Augustine College changed my heart. her talk on female identities in South Africa today. who will present a Muslim perspective on the same issue. violate religious beliefs and/or cultural traditions. their identities through a maze of contradictory messages. Is it possible for women to hold together their identities in a liberating way? as well as citizenship rights without fragmentation or confusion? a liberating framework for integrating multiple female identities. Nontando Hadebe is a lay woman theologian whose area of focus is Contextual, Pastoral and Liberation theology in the African context particularly women’s theologies and lately ecological issues. Her first studies were in law at the High Court of Zimbabwe. After turning to theology, she has completed her undergraduate and postgraduate degrees at the University of Natal, Pietermaritzburg. Her doctoral dissertation at St Augustine College was entitled A Trinitarian theological response to gender challenges in the context of HIV/Aids in Southern Africa. 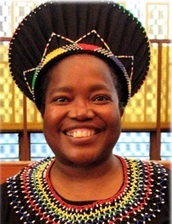 Nontando is a member of the Circle of Concerned African Women Theologians as well as the TCCRSA Women's Caucus comprising Catholic women theologians in Africa. She has recently returned from the USA, where she was Visiting Fellow at the Jesuit School of Theology, Santa Clara University (Aug-Dec 2014) and Fulbright scholar in residence at Emmanuel College, Boston (January-May 2015). 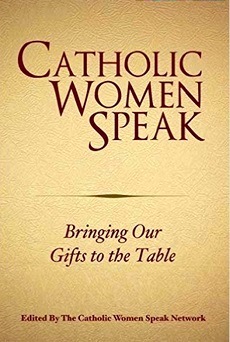 She has published a number of articles and book chapters, one of the latest being her contribution entitledReading the Signs: Maternal Mortality and Reproductive rights in Africa included in the anthology Catholic Women Speak: Bringing our Gifts to the Table (Paulist Press, Mahwah, NJ, 2015). In January 2016 she will resume fulltime work at St Augustine as a Senior Lecturer. Married with three children, Najma started her journey 20 years ago as a radio presenter which was her childhood dream. 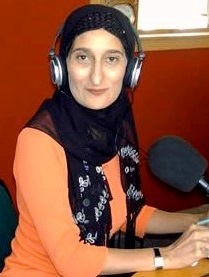 Against the odds Najma founded a community radio station and co-founded two others. All were unique to the country at the time. Najma was faced with a new challenge when she was told that according to Islamic teachings women were not allowed to be heard on "air". She did her own research and gained support from the community to prove that there was no basis to what some claimed as an Islamic rule. Najma became a voice for women through her platform on radio and television, a household name both locally and internationally. Najma is now a seasoned broadcast journalist. Najma pursued her career as a counselling therapist concurrently with being a radio talk show host and television presenter. As an active member of her community, she co-founded a drug rehab centre and served on the board of several organisations. As a counselling therapist and a trauma counsellor, Najma is also the director of "Forever Blooming," an organisation she founded in 2005. 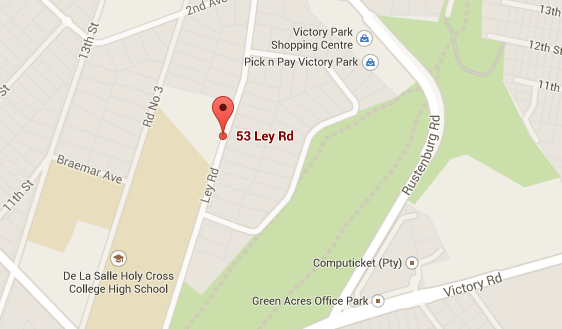 This stress and trauma centre offers counselling services to individuals coming from disadvantaged backgrounds. Ambitious and striving to further her qualifications in the field of psychology Najma is motivated on a daily basis in the hope that she can make a positive difference in the lives of those she touches. She lives by the adage: What lies behind us and what lies before us are tiny matters compared to what lies within us (R.W. Emerson).